Hospital security staff called the police after Shaun Kirwan produced a pair of scissors and threatened to slash his throat. Minutes earlier he had warned he would “cut” them if they tried to take the scissors from him. 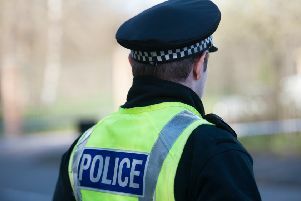 At Falkirk Sheriff Court the 47-year-old was placed on a supervised community order for 12 months and told to complete 120 hours unpaid work in nine months after admitting threatening to harm himself and others at Forth Valley Royal Hospital in Larbert on July 13. The court was told Kirwan was at the hospital because his wife had been admitted earlier that day. Defence lawyer Lynn Swan said: “He had found it a very stressful day which had not been helped by the fact he had taken a large amount of alcohol. Mrs Swan said Kirwan is already serving a prison sentence for housebreaking and not due to be released until December.